Collecting Doulton leatherware and blackjacks! Two blackjacks with silver collars dating them to 1891 and 1900. These simulated blackjacks and other items date from 1887-c. 1914 and are realistic to the eye with stitching and also the imitation of various types of leather. 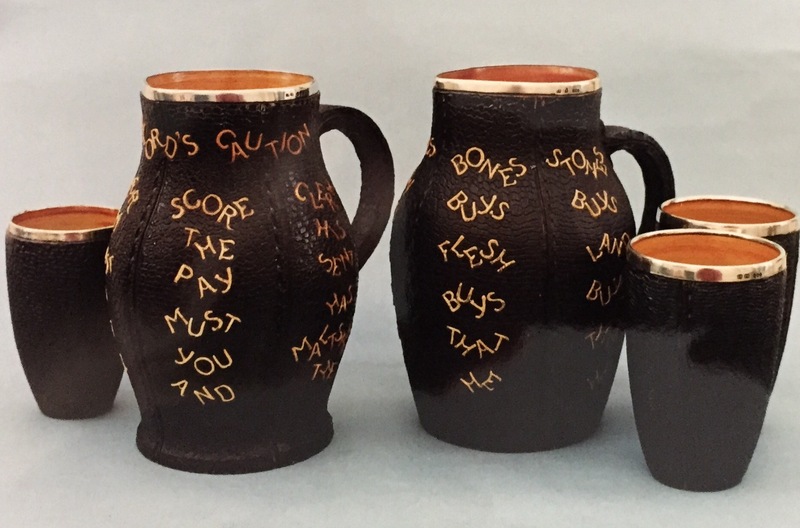 Leatherware motto jugs and drinking cups. 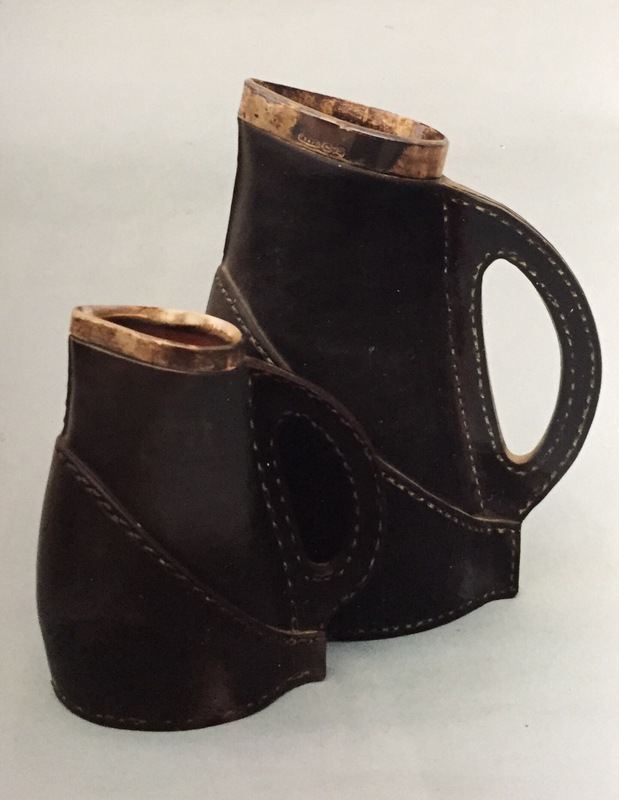 These wares, typically jugs, can be found with applied mottos again in imitation stitching and were considered to be of sufficient quality to be produced with silver mounts too. Rare copper and leatherware jug. 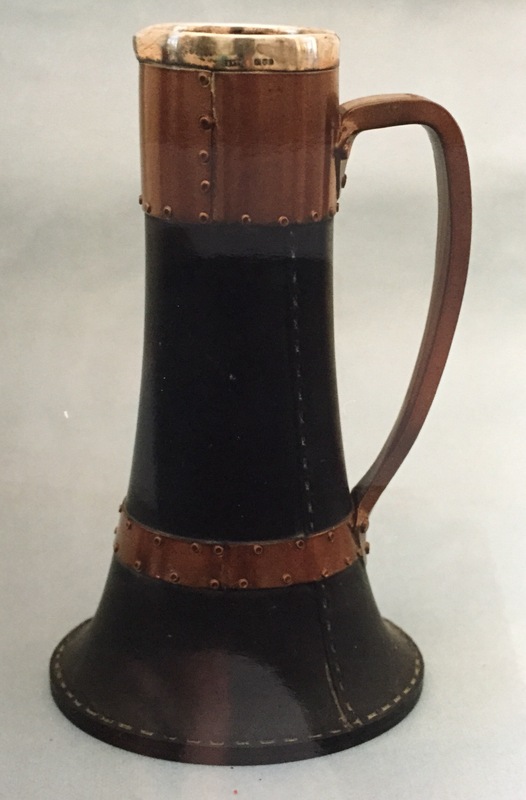 Rarely examples of Leatherware and Copperware have been found used together, the two colours making a striking contrast. Unusual nursery jug with elaborate silver collar from 1905. 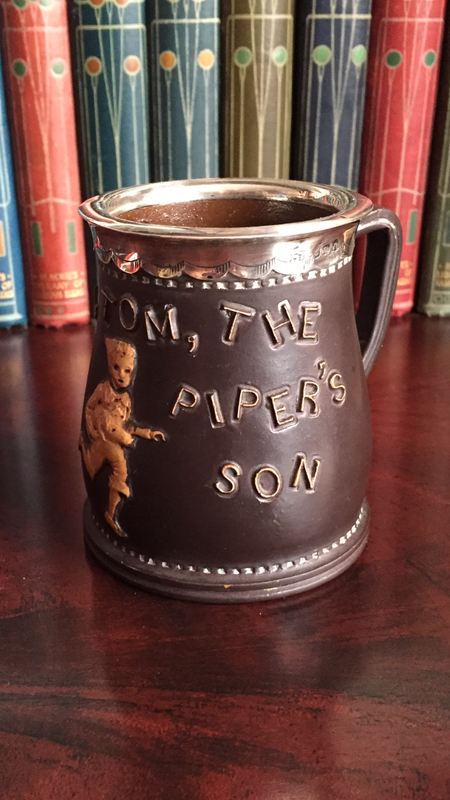 Novelty items can also be found including a match holder and this children’s mug featuring the rhyme ‘Tom, Tom the piper’s son’.